There are two types of Siamese Cats - the traditional (or apple-head) and the modern type (American hyper-type and the British type). 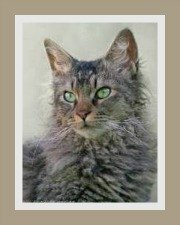 This domestic cat, known for its grace and elegance, is probably the most recognizable cat in the world. This regal cat is often referred to as the Royal Cat of Siam. The breed morphology has changed over the years! The original type was larger and rounder and in the early days, crossed eyes, green eyes and a kink in the tail were all accepted traits. As a result of selective breeding, the modern Siamese has become more refined. 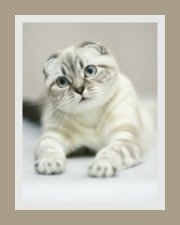 Today, crossed eyes, eye color other than blue and tail kinks are no longer desirable in show cats. 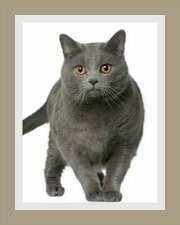 This is quite ironic if you consider that these traits were once prized in this breed and apart from its unusual color, set them apart from other cat breeds. The traditional Siamese cat is limited to 'pet-quality' cats and is registered by only a few associations because this cat does not comply with modern standards. The applehead Siamese is still bred and prized by cat breeders faithful to the old Siamese type. They are also still extremely popular amongst pet owners. In Thailand these types of Siamese cats are known as the Wichienmaat. 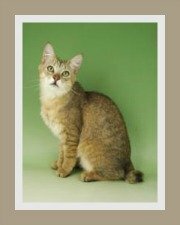 The International Cat Association (TICA) now classes these cats as Thai cats. The old-style Siamese differs from the modern Siamese in that it is larger and rounder, but still well proportioned without the extreme shape of the modern Siamese. Its head is also broader and rounded, but still very much Oriental-looking. This cat also weighs slightly more than the extreme Siamese. 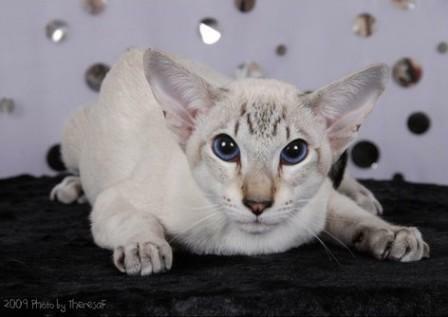 Breeders of the Traditional type Siamese believe that it is a much hardier cat with fewer hereditary problems. This Siamese has a head shaped like an isosceles triangle, enormous ears, almost slit eyes, very long neck, tubular body, endlessly long legs and a very narrow skull. This is really a mixture between the Old-type and the American Type. The head here is shaped like an equilateral triangle, ears are large (not enormous) and the body whilst long, is less extreme. 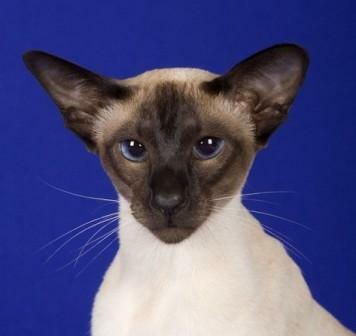 The Siamese of today has a slim, elegant, graceful and long body - svelte comes to mind! 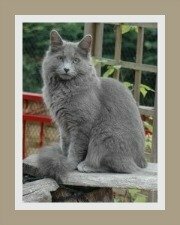 This cat is medium in size, fine-boned with muscular sleek lines and shoulders and hips of the same width. The Siamese should never be fat, but should also not be bony. Its neck is long and slender as are its legs. The hind legs are slightly longer than the front legs. The tail is long and thin, un-kinked and tapers towards the end. Come to think of it, everything about the Siamese is long, well apart from the coat that is. The typical Siamese cat's head is triangular or wedge-shaped. The wedge starts from the nose and flares out in a line to the tip of the ears forming a triangle. The muzzle and nose is also long. Ears are large, pointed, broad at the base, well spaced and follow the lines of the triangle shape. Its striking, vivid blue eyes are almond-shaped and slant towards the nose. In many ways, this cat could be compared to an Oriental version of the 60's model - Twiggy! Porcelain-like features, slim, trim and unforgettable! 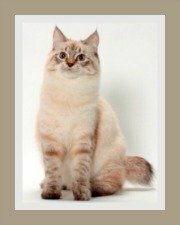 Take a look at Life with Siamese Cats, it is a resource dedicated to Siamese cats, you are sure to find all the cat information you need about this cat breed here.